When I was growing up, I dreamed of having a treehouse. A secret retreat. A place of my own. A spot to "get away" from adults and play with whatever I wanted. It was a kid's dream! Imagine my delight when I across these beautifully constructed trio of treehouses designed by environmentalist, Peter Bahouth and built by Nick Hobbs. 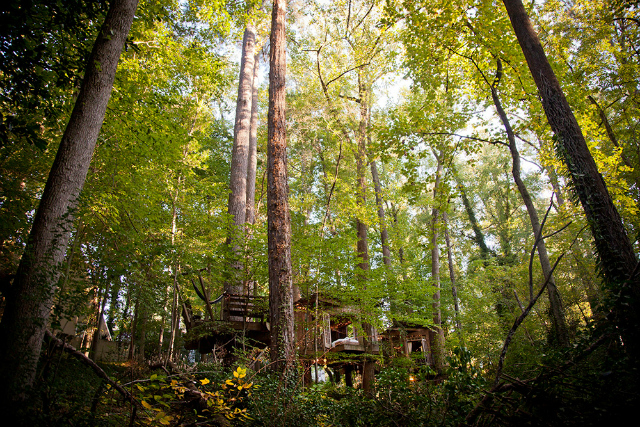 These treehouses are in the middle of a forest in Atlanta and they sit 50 feet above the ground. Aptly named, "Mind," "Body," and "Soul" they are meant to stimulate the senses. Naturally, his inspiration for these magical treehouses came from a childhood dream of building the "biggest tree fort imaginable." After six months of planning and six weeks of construction (using spare windows and 80-year-old windows) his ultimate tree fort became a reality. 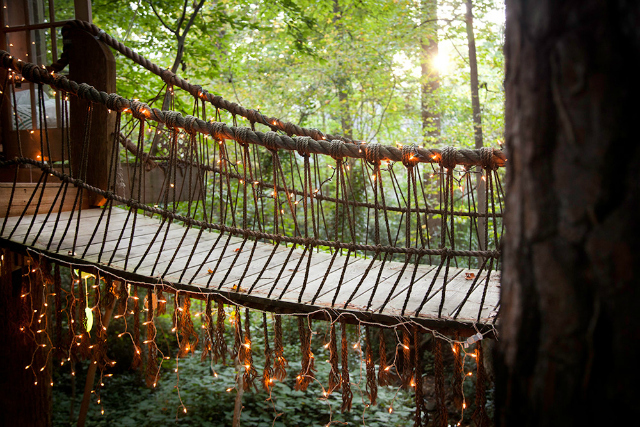 Suspension bridges connect each treehouse and each space is decorated with flea market finds and personal mementos. Pretty dreamy, eh? For different photos, read this. 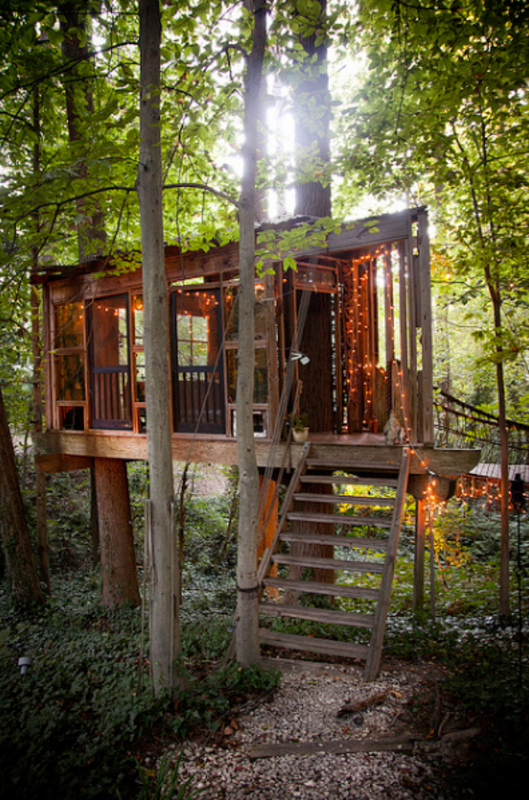 I always dreamed of having a treehouse when I was a kid as well. I just thought it would be so cool. 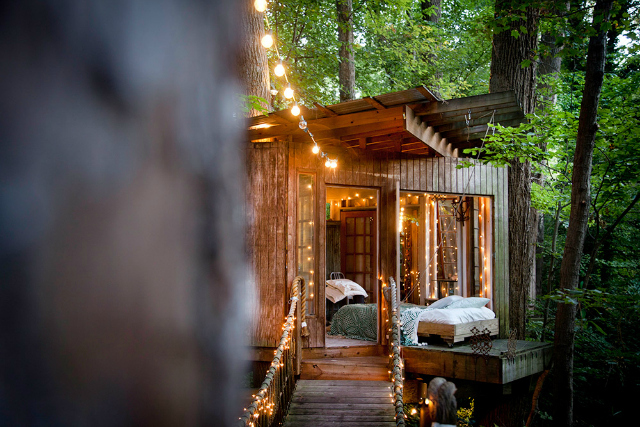 These treehouses are so dreamy- I would absolutely stay in one of these! Wow. Those are some great tree houses. They look more like a mini home. I would love to build one… …someday. 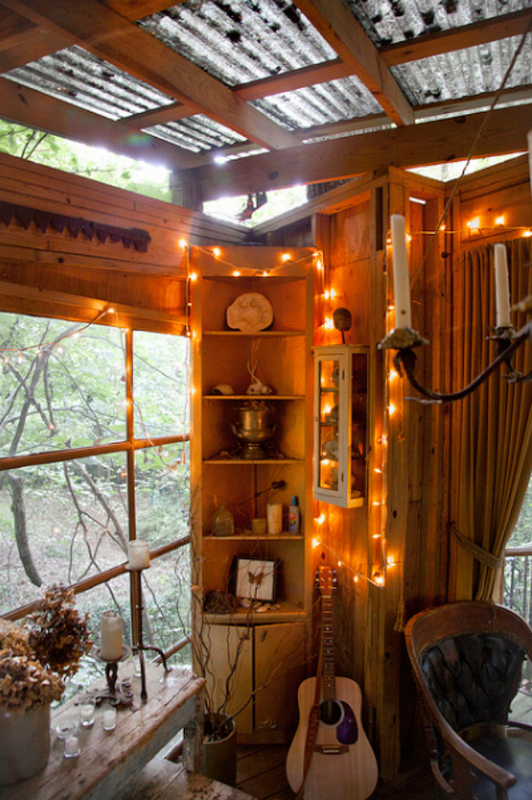 These are some seriously amazing treehouses! Magical indeed! Those tree houses are so cool! 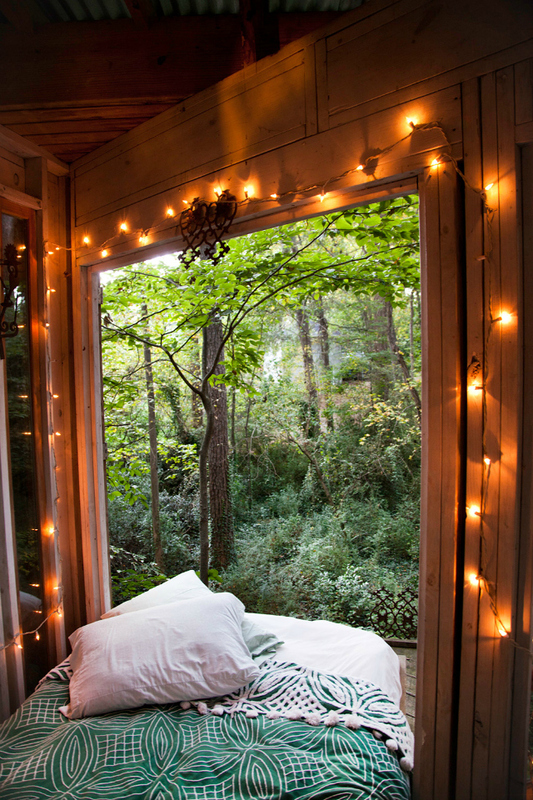 Love the fairy lights. This is AMAZING. 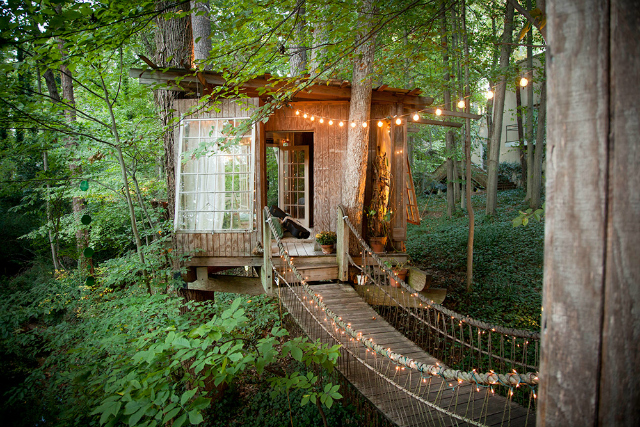 I always wanted a tree house as well, and this one is pretty great. These are amazing!! 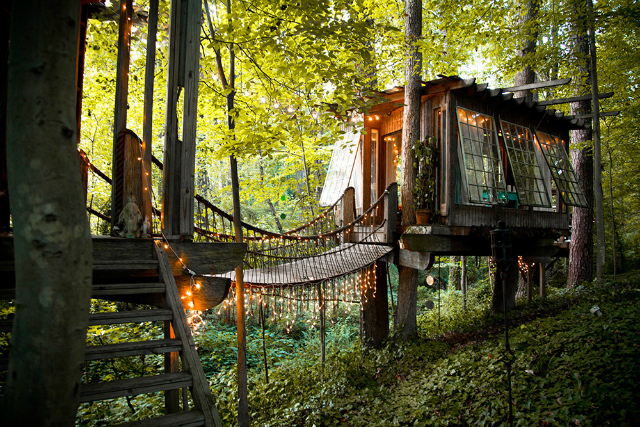 Is it bad that I still want my dad to build me a treehouse at 25? Yep! This just hands down rocks! 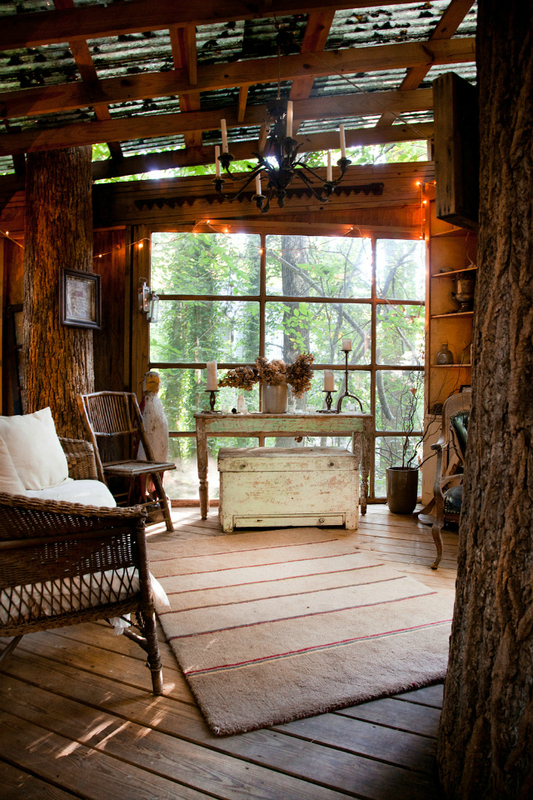 I so want to put a tree house in around our old ash tree...such inspiration here! BEAUTIFUL!!!!! oh my god this tree house is amazing!! Ever since watching Now and Then, I've always wanted a tree house. It's totally acceptable for a woman to build one solely for herself, right!? Hehe.